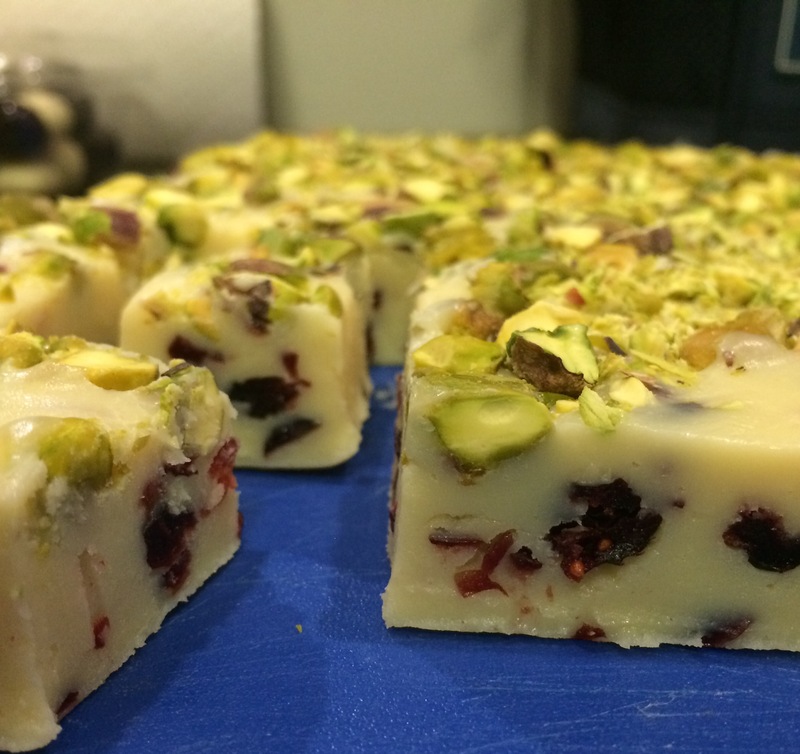 Two blocks of good quality eating white chocolate. Half a can of condensed milk (a whole can will work but it makes it a very soft fudge). One teaspoon of butter and one tablespoon of vanilla essence. All into a saucepan on medium-low heat and stir continuously until all melted together and starting to ‘dry out’ and get a skin on top. Take off the heat and stir through a big handful of chopped cranberries (as much as you like really – the mixture is too sweet without them). Pour the lot into a lined square cake tray. 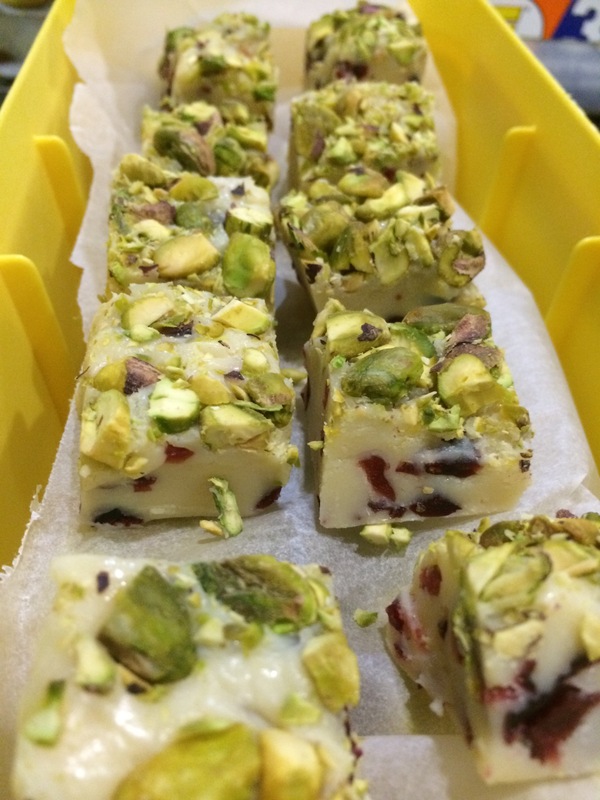 Cover the top with chopped pistachios and push them into the top of the fudge. Refrigerate until set.